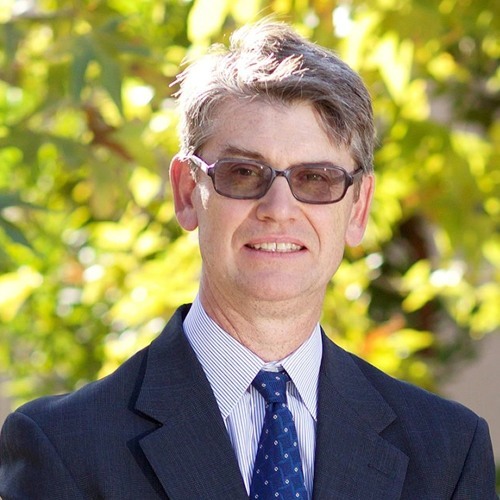 In this episode, we talk with Dan Hamilton, Associate Professor in the School of Management at California Lutheran University, where he is the Director of Economics for the CLU Center for Economic Research and Forecasting (CERF) and the Director of CLU's Master of Science in Quantitative Economics (MSQE). In partnership with CERF Director Matthew Fienup (previously on the podcast), he is a member of the Wall Street Journal's Economic Forecasting Survey and has more than 22 years of experience in economic forecasting. We had a lively conversation about forecasting, how you present data to decision makers and how 'data can be tricky.' Dan believes that we are in the Golden era of forecasting. Luckily for us, he has deep experience in the topic and was able to present Patrick and Mark with a Master's Class worth of information in under an hour. Dan joined CLU in 2009 and in three months, established CERF and MSQE. CERF has computed economic forecasts for the United States, California, Oregon, Los Angeles County, the San Fernando Valley, Ventura County, and for various other counties in California. The MSQE program focuses on teaching the application of quantitative methods in applied economic and financial analysis, including economic forecasting. Before CLU, Hamilton joined the UCSB Economic Forecast Project in 2000 where he worked with well-known regional organizations including Vandenberg Air Force Base, the County of Santa Barbara, the County of Ventura, The Towbes Group, the Sares-Regis Group, among many others. Before UCSB, Dan worked for three years for the Wharton Econometric Forecasting Associates (WEFA Group) where he produced and interpreted forecasts for a wide variety of clients including Visa International, the Panama Canal Authority, and the United States government. He also conducted intensive forecast training programs for both internal and external clients at the WEFA Group.